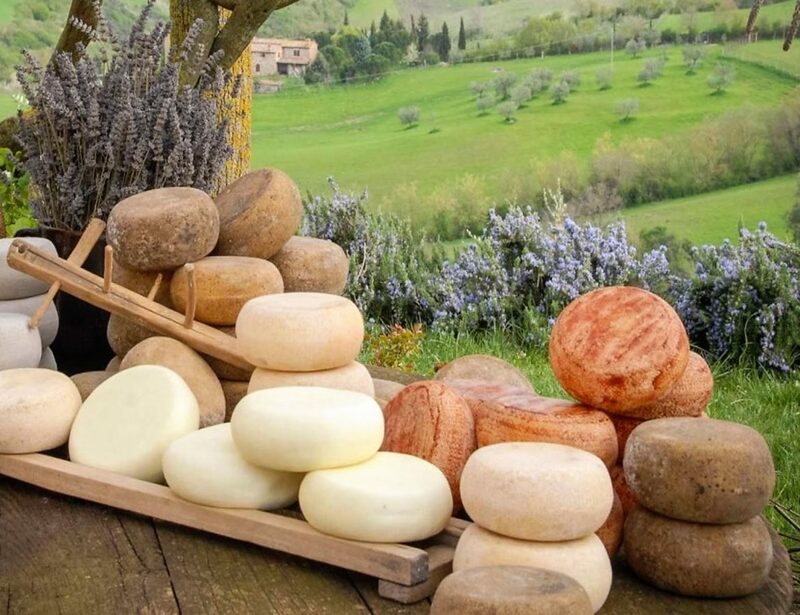 This tour will take you to discover one of the best Tuscan products, right at a dairy farm located in the beautiful hills of the Val d’Orcia (UNESCO World Heritage Site). Here, you will observe the techniques of cheese processing, meeting these artisans of flavors, understanding the differences between the various types of Pecorino cheese, and finally you will learn to taste it. Flocks of sheep graze on the Val d’Orcia hills, feeding on the herbs offered by this area: the result is a high-quality milk, which, once it is processed, turns into the famous Pecorino cheese, with its unmistakable flavor. 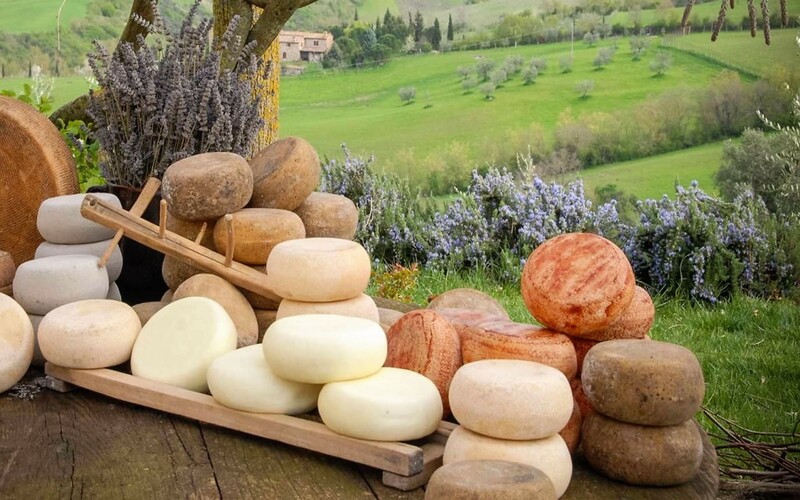 Be it fresh, semi-seasoned, or seasoned, you will realize that Pecorino cheese from Pienza is excellent in every version, pure or paired with honey or jams. The flavors tour is not over. After the dairy farm, it is time to discover another specialty of this territory: the Vino Nobile di Montepulciano DOCG. You will visit a winery in Montepulciano, going through the various stages of winemaking and wine aging. The tour will end with a tasting of Vino Rosso di Montepulciano DOC and Vino Nobile di Montepulciano DOCG.